John Sauvé, an accomplished Michigan artist, has work shown throughout this state, the Midwest, and as far as Tokyo. It is the mission of the Michigan Legacy Art Park to inspire artist to create impressive works of art that interpret Michigan’s legacy. True to its mission, the Art Park inspired Sauvé to design Man in his Element as part of Sauvé’s Man in the City series of stainless steel sculptures designed for and installed in 10 cities throughout the country. The artist donated this piece to the Art Park. Man in his Element project relates man to Michigan’s natural resources. 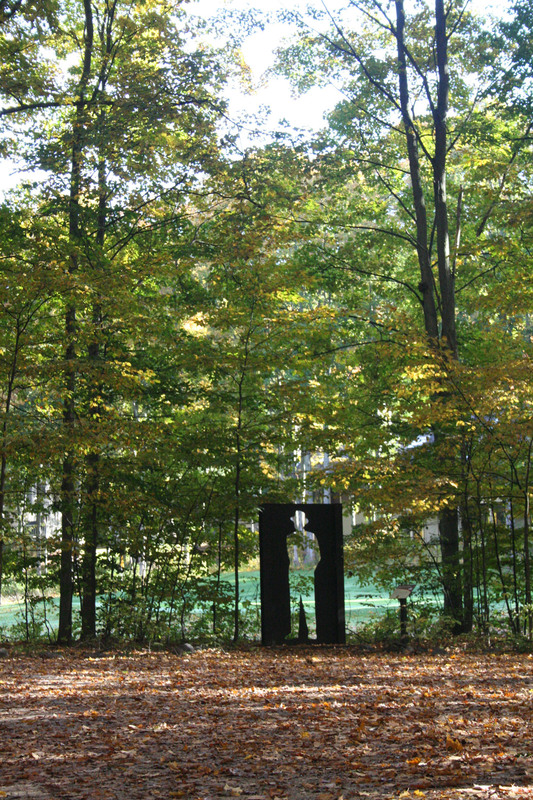 The sculpture is meant to be among the trees so that one sees both negative and positive spaces. 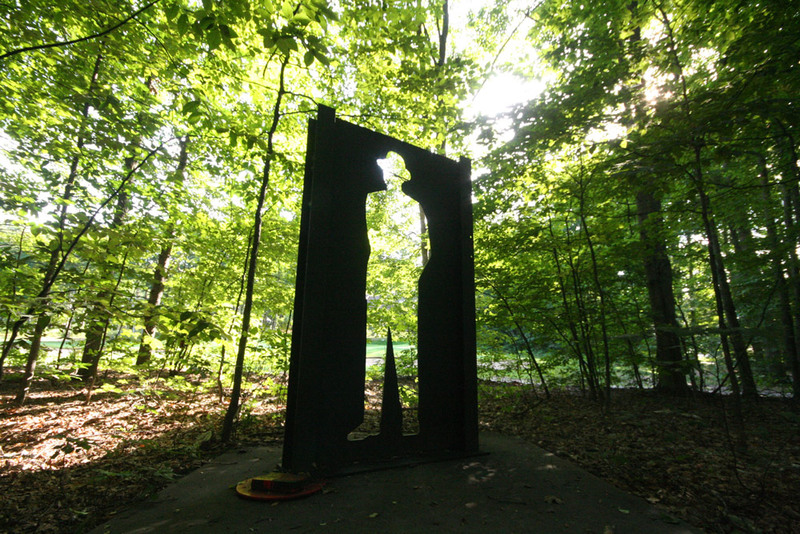 The sculpture has a double meaning–man’s negative and positive impact on nature. People who settled in Michigan, not only enjoyed its natural resources but used them to develop industry, such as the paper mills along the western coast during the 19th century. This is also a reminder that man has a responsibility to renew natural resources where possible, such as reforesting, so he can continue to use and enjoy them. Man in his Element is made of steel and concrete, weighs approximately 800lbs and is 8 feet tall.